Vendetta: Curse of Raven's Cry - Represents an action-adventure with a grim story, rediscovering the image of a pirate in popular culture. Unlike generally charming but carefree pirates who are popularized in generations of pirate stories in fiction, the player will try on the role of Christopher Raven, a fatal anti-hero who became a pirate to avenge his dead relatives. 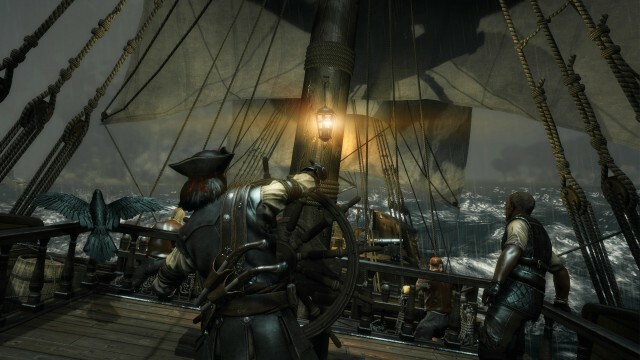 The game is full of all kinds of dynamic combat and atmospheric effects, which demonstrate the sinister beauty of the Caribbean islands of the 17th century. Raven's Cry completely immerses players in a vastly detailed world of perfidy and adventure. ▪ The open world of the Caribbean, with a powerful storyline and dozens of side quests and secrets waiting for their discoverers. ▪ Countless different activities, from smuggling to robbery, bounty hunting and treasure. ▪ Ambiguous moral choice, affecting the entire storyline, and creating each time unique game situations. ▪ Psychological elements that depend on the player's actions and affect the enemy's behavior and actions in combat. ▪ Branched personal and maritime branches of skills that depend on Christopher's authority. ▪ Learn the skills of the crow, so that your winged companion can not only circle around you, but also take an active part in adventure. ▪ Not a simple combat system based on the classic principles of "slashers" flavored with tactical elements, such as: blocks, counterattacks, parrying, and bloody finishing with a hook. 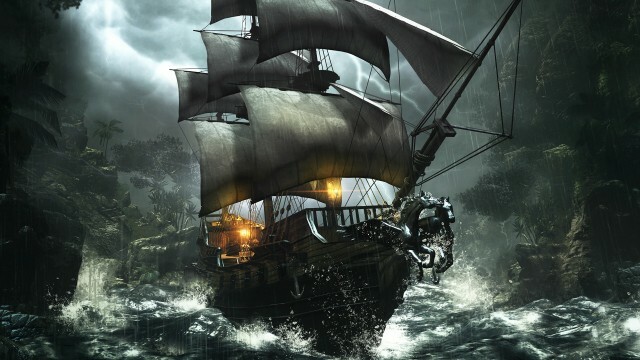 ▪ Accurate and historically verified ships and armaments that carry you to the Caribbean of the 18th century. ▪ Your fighting qualities will directly depend on the environment - a wet gun can not fire, and mudflats can reduce attack and defense. ▪ The intense sea battles, supplemented by a rich set of ships and naval weapons, show us the cruelty of those old battles. ▪ Different communities operating in the Caribbean will treat you differently depending on the flag under which you walk and your bad or good name. ▪ Whispers and rumors - the right information, at the right time, is more valuable than gold. Keep your ears open and find clues about lost treasures and newfound enemies. ▪ Expanded trading system - the knowledge of where to sell coffee, cocoa or hemp (note in the original - cannabis aka mangarossa), will help you get the most out of the benefits. • Detailed and realistic locations of the Caribbean islands and South America. 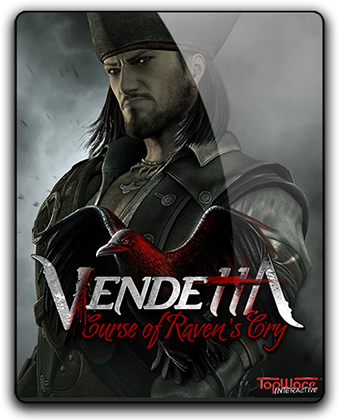 Vendetta: Curse of Raven's Cry - Deluxe Edition [v 1.10] 2015-qoob from rapidshare mediafire megaupload hotfile, Vendetta: Curse of Raven's Cry - Deluxe Edition [v 1.10] 2015-qoob via torrent or emule, full free Vendetta: Curse of Raven's Cry - Deluxe Edition [v 1.10] 2015-qoob, Vendetta: Curse of Raven's Cry - Deluxe Edition [v 1.10] 2015-qoob rar zip password or anything related.